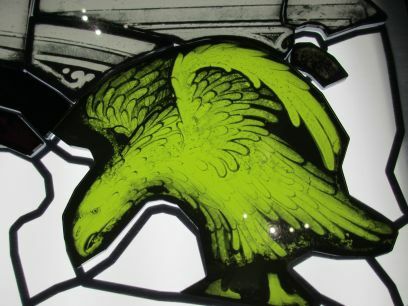 One tiny example of the wonderful stained glass panels in the windows of York Minster. 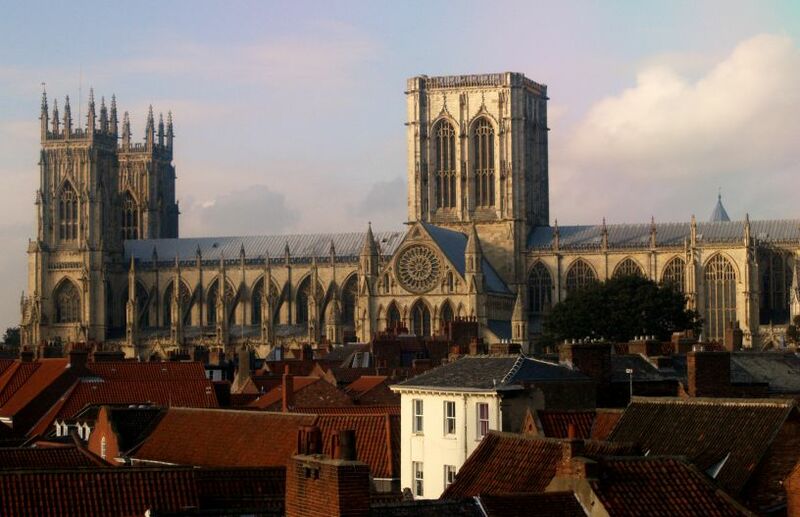 York Minster is the largest medieval gothic cathedral in Northern Europe. 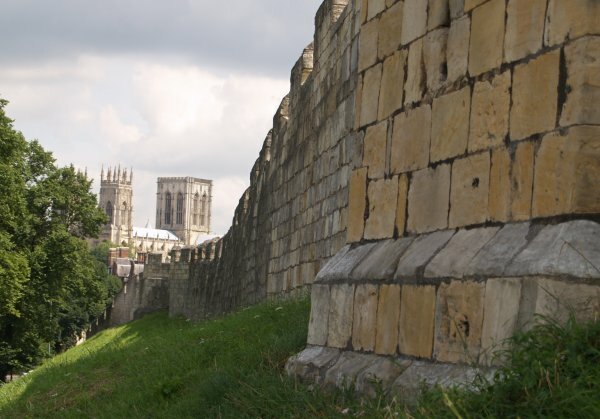 Not all cathedrals are minsters and vice versa, but York Minster is both. 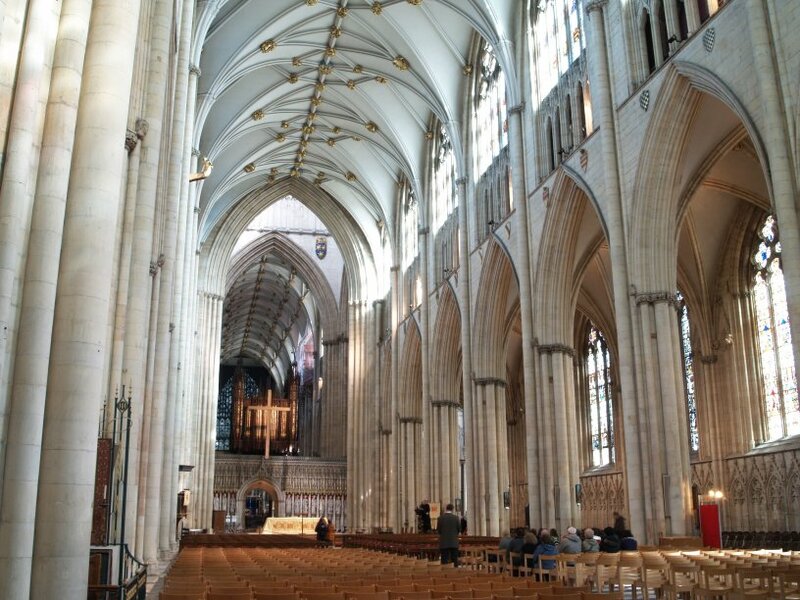 A cathedral is the 'mother' church of a diocese and where the bishop has his cathedra or 'seat'. 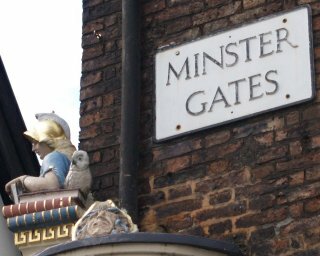 A 'mynster' was the Anglo-Saxon name for a missionary church. 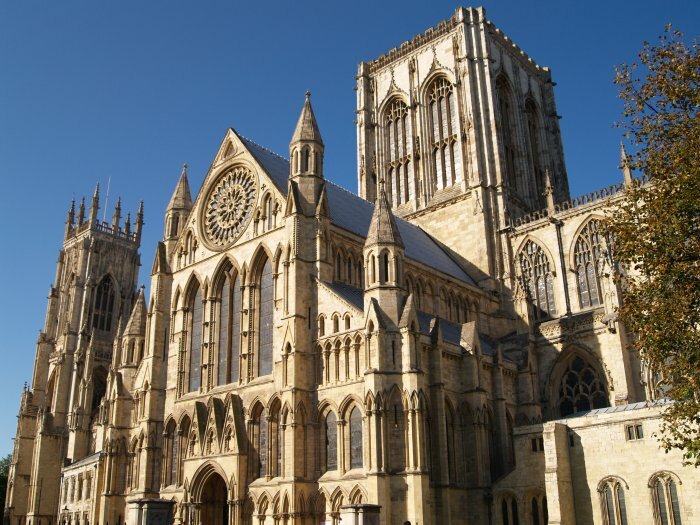 The south facade of York Minster, magnificent stone work and a prodigious amount of wonderful medieval stained glass throughout the Minster, but much of it is too high up to see clearly! 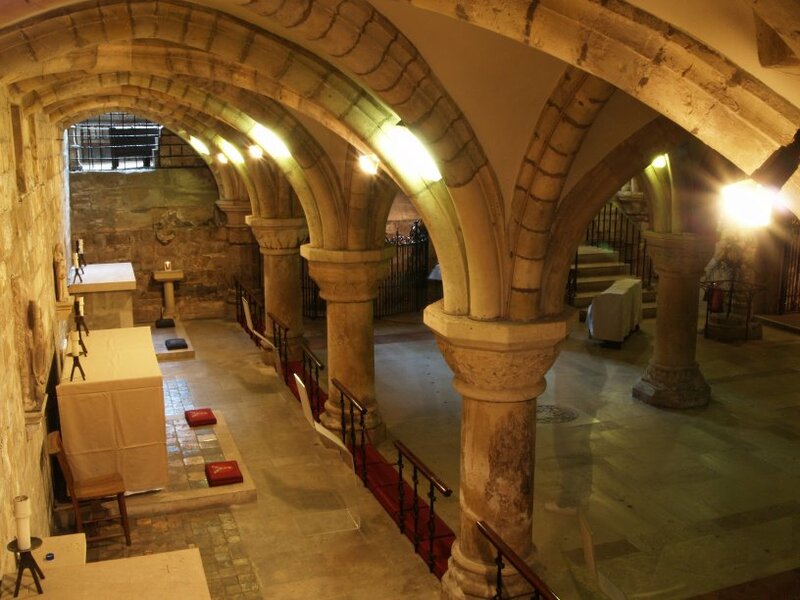 The Metropolitan Church of St Peter was founded by King Edwin in 627 AD. 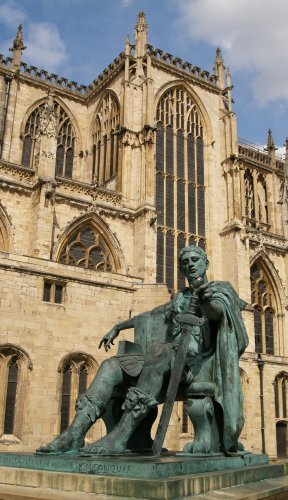 St Wilfrid rebuilt the church around 670 and after further work about 680, the church survived until a fire in 1069. 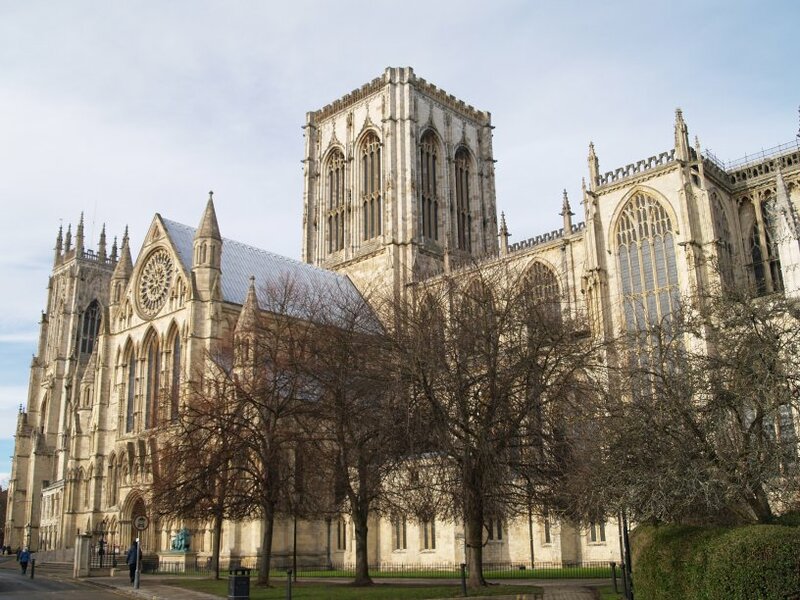 The Norman church was built out of the ashes, but most of the building you see is Gothic from work carried out between ~1220 and ~1480. 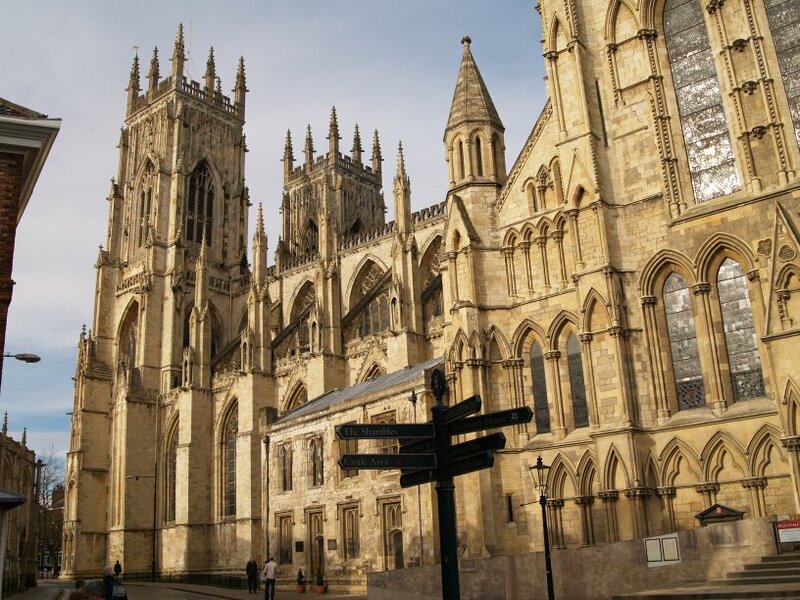 York Minster was originally a Roman Catholic church, but became an Anglican or Church of England church since 1534, when Henry VIII parted company with Rome! 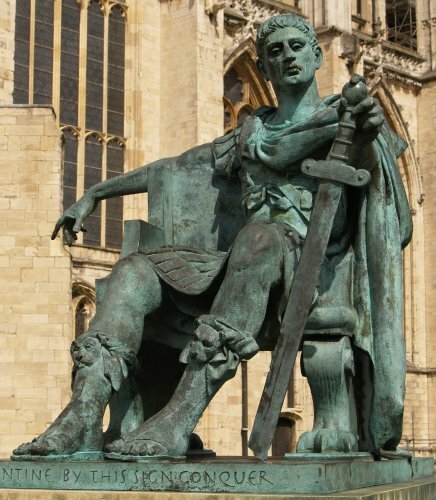 The sculpture of Emperor Constantine in suitable regal pose and what a setting on the south side of York Minster! 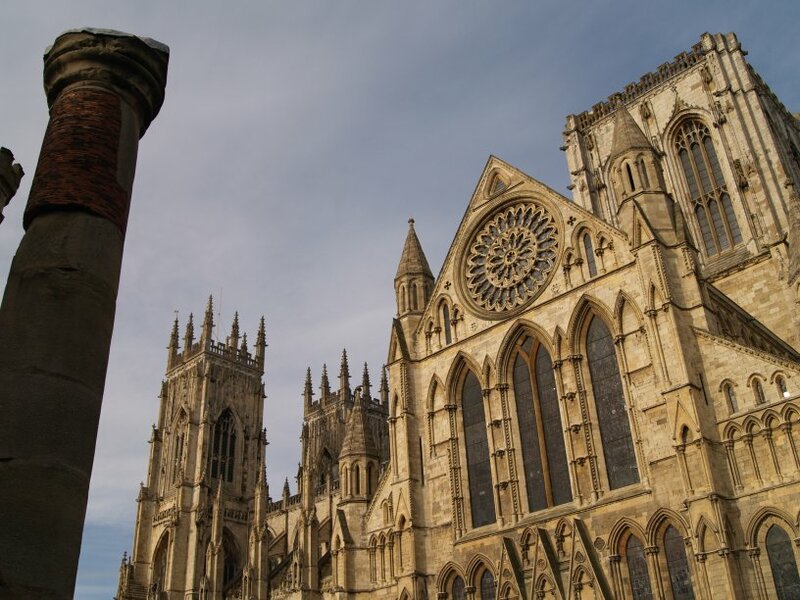 The Rose Window and central tower of York Minster viewed from Minster Gates. 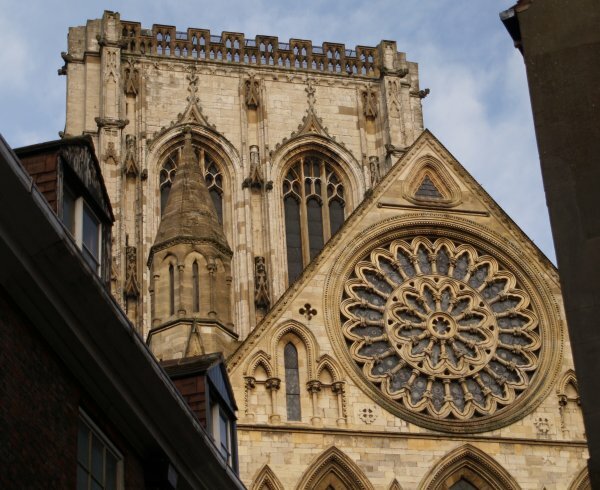 The outer petals of the Rose Window are filled with red and white roses of the work of 16th century Flemish glass-painters. 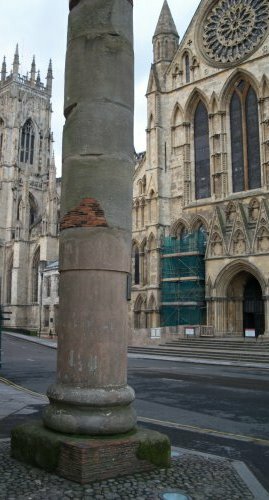 The Roman column near the Minster. 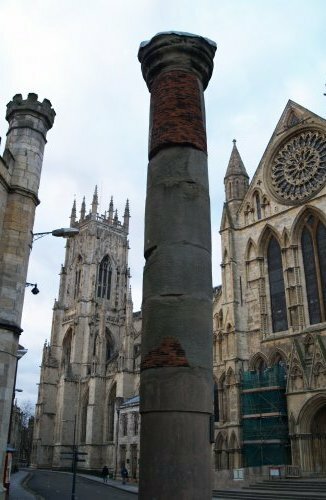 This Roman column once stood within the great hall of the headquarters of the sixth legion and was found during excavations of the south transept in 1969 and lying where it had presumably collapsed. 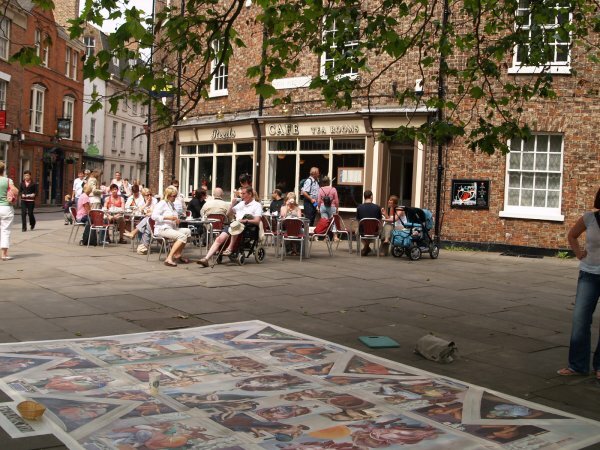 Reeds Cafe Tea Rooms is just across from the west door of the Minster and in combination with some street art' what a great location and ambiance to rest those weary street-wise feet and take in some refreshment and admire the west front and towers of York Minster! 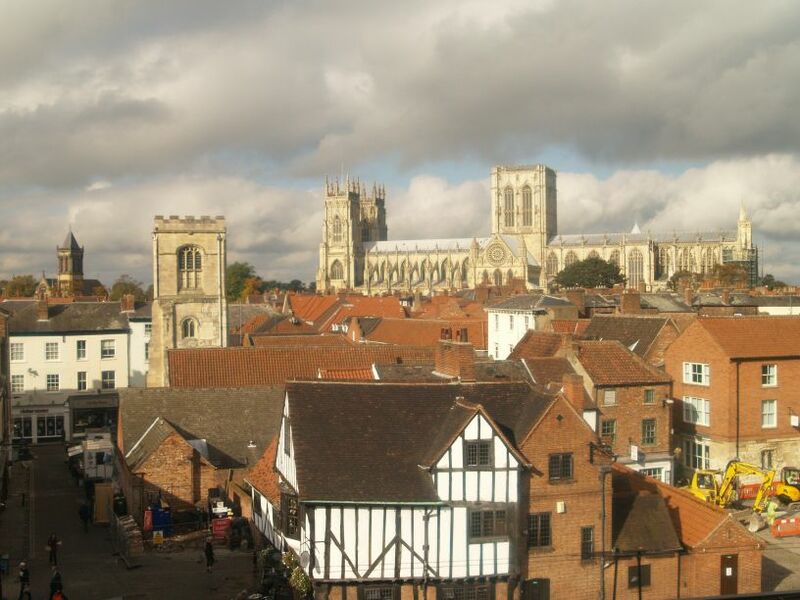 View from above the railway station along the city walls towards the Minster. 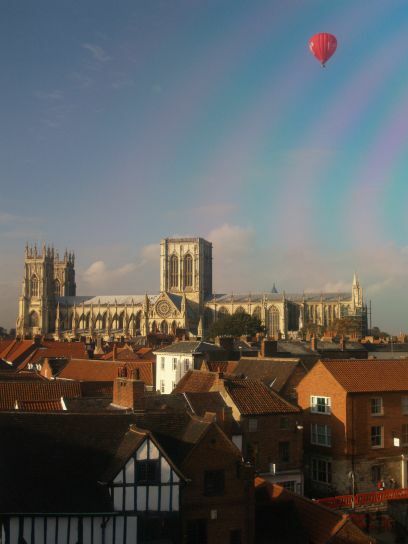 York Minster from the cafe on the top floor of M&S !!! 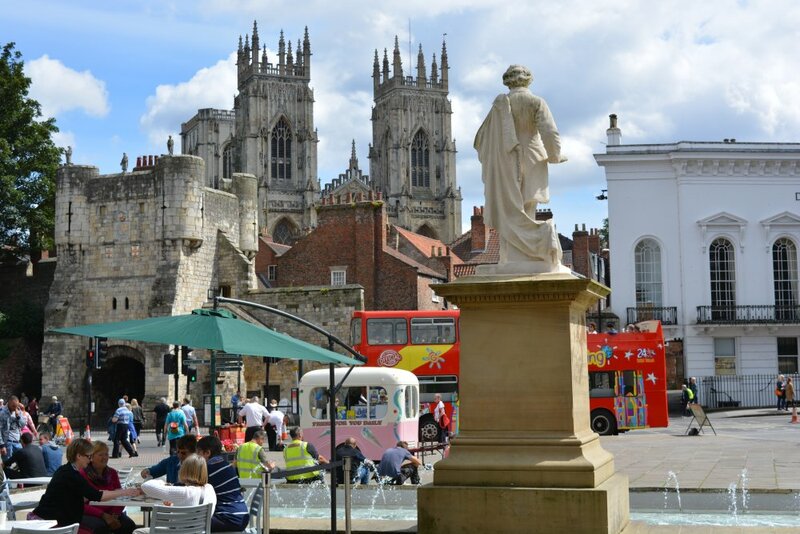 View of the towers of York Minster from the steps of the Art Gallery on a fine summer's day.